The boys have been begging to go on a vacation since the beginning of summer. We’ve done a couple road trips in the past, and also took a trip to Vegas last summer, but we didn’t know where to go this summer. Flights have been too expensive, so we knew it would be within driving distance. We wanted to go somewhere with fun activities for the kids, with nice weather, and also a place adults would enjoy. After doing some research, Minneapolis sounded like a great choice. I did more research, and we decided on 2 nights in the city, and 2 nights in Bloomington, MN, which is just out of the city. 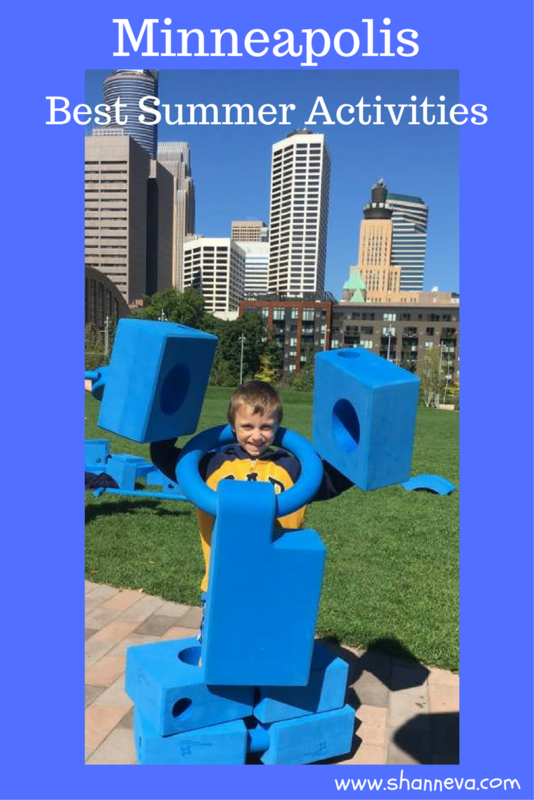 I’m not sure if it’s because the boys are getting older or because of the activities we chose or that Minneapolis is just such a cool city, but it’s been one of our best trips so far. 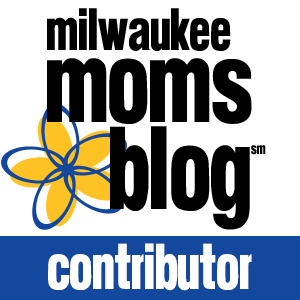 Today, I’m going to share some of our travel tips, along with some great activities for families during the summer in Minnesota. My parents volunteered to join us, which was awesome. It’s always better to have adults outnumber the children on vacation…or really in any situation. Unfortunately, neither of our families have a vehicle that will fit 4 adults and 3 children. Our first thought was to take the train. The boys love trains, and then all the adults could just relax and not drive. But, it ended up being more expensive than flying. 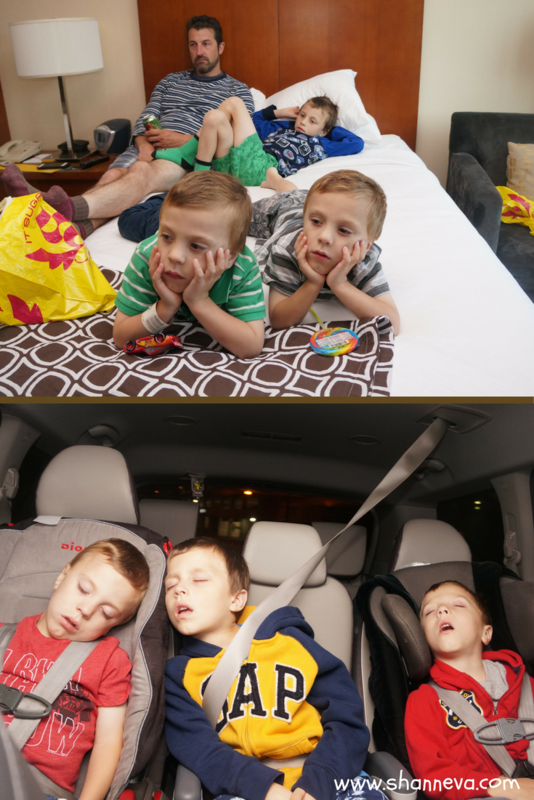 Our first road trip, I made the boys each a backpack filled with toys and activities. I thought it would keep them completely occupied. Well, the joke was on me. Every 5 seconds someone dropped something or couldn’t get something to work or needed some sort of help. I perfected my skills as a contortionist that trip. I also realized I much rather drive (even though I HATE driving!) than be a passenger in charge of attending to the children’s every need. 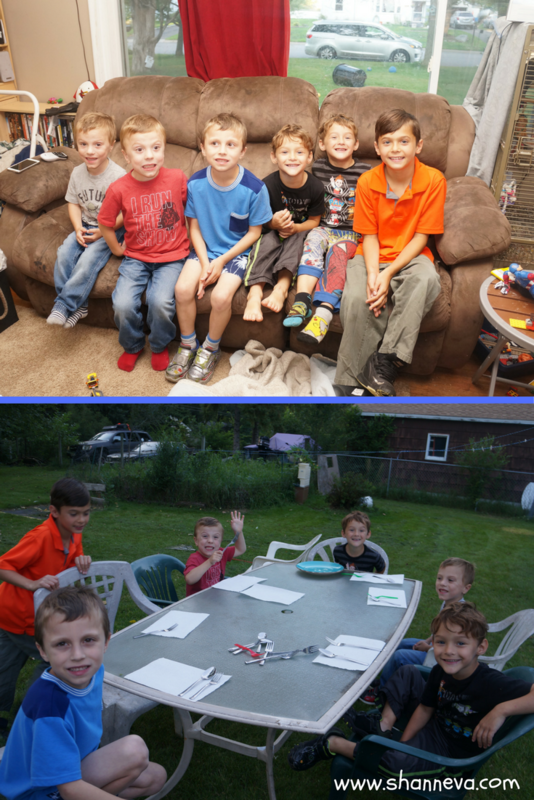 So…..I bought each boy a DVD player for the trip. We tried them out on our trip to Madison a couple of weeks ago, and they were a life-saver. Or an “ear-saver” I should say. I’ve never had silence in the car before. It was amazing. I bought one from Amazon and the other 2 from Walmart. Even though the Walmart players came with headsets, the Amazon player was a better one. It has a battery that lasts 5 hours, rather than 2, which is way more important than a headset for sure. As I mentioned earlier, our first 2 nights were spent in downtown Minneapolis. I got a great deal on a hotel, but totally forgot about parking in the city. Good thing we only had to pay for one car! We started our drive on Monday morning, so we got to the city late afternoon. I made sure we had a pool, and that is all the boys wanted to do. However, us non-fruit snack inhaling members of the party were hungry. So, we convinced them to eat at a restaurant first, then we would swim. We picked a restaurant from a list our hotel gave us, Hell’s Kitchen (no relation to Gordon Ramsey’s show!) and it ended up being pretty good. It was within walking distance, had happy hour specials, and also had a giant stage with an Angel (Fallen, I’m guessing, since it was “Hell’s Kitchen”) which entertained the boys. Another happy coincidence? It was down the block from a Target! So, after dinner, the boys headed back to get suited up, and me and my mom shopped for supplies….cookies, water, beer…the essentials. Our room had a fridge, which was also a bonus. Then, swim time! We had almost the whole pool to ourselves. Just one random guy on his phone in the corner. The pool was warm like a bathtub, and the kids all had their water wings on, so it was nice even for mom. We got back to the room, and the boys all shared a bed. They started watching a movie, but faded pretty fast. It would have been a great night sleep for everyone, but Big C was sleeping so soundly, he rolled off and onto the floor. He wasn’t hurt, but scared, so we got an extra bedmate for the night…and no sleep. We didn’t have anything scheduled during the day on Tuesday, so we decided to find a breakfast spot. We ate at a restaurant called the Hen House Eatery. The boys could have cake for breakfast, plus they gave them toys. Winner! Then it was time to walk off the cake. We walked inside the Skyway first, which is a system of enclosed walkways between the buildings. This is brilliant for the cold, snowy MN winters. But, since it was summer, we headed back outside. After about 10 complaints from each child, we stumbled upon a park. 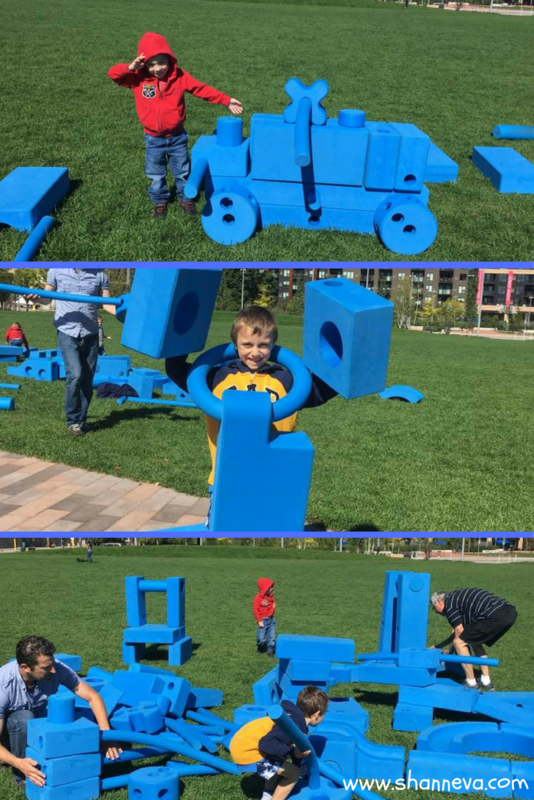 There wasn’t much to it…some blue building blocks, a ping-pong table, and lots of open space…but they loved it. Those blocks kept them occupied for a good, long time. Even Grandpa and Dad got involved! They loved building, and they also loved destroying! Then, it was time to head back to the hotel for more swimming and to get ready for the night. We planned a meet-up with another twin family for dinner. We had initially met Andy and Amanda in a TTTS Survivor Support Group, and then met in person when we attended the Twinsfest in Twinsburg, OH. When I announced we were taking a road trip to Minneapolis, they immediately invited us for dinner. They have twin boys the same age as our, and then they have two older boys. Legos, running, football, ice cream, and dance parties. I think it’s safe to say it was one of the highlights of the trip. We even got a little adult time to chat. It’s always so cool to talk to people who’ve had similar experiences. Plus, another twin mom with TTTS survivors stopped by to say hi. I wish we lived closer! I’m hoping a visit to WI is in their future travel plans. The next day, it was time to change hotels and move a little outside the city. We planned on hitting up the Mall of America one day, and the Minneapolis Zoo the next. Bloomington is actually pretty close to Minneapolis, and our next hotel also had a pool, so the boys were happy. We spent all of Wednesday and part of Thursday at the Mall of America, since there was just so much to do. So, I’m sharing that in a separate post. When researching Minneapolis and asking people about their “must-do” lists, the Minnesota Zoo kept coming up. I heard about a new exhibit, so I knew we had to go. You can see kangaroos up close!!!!! When we first arrived, there was a huge line. We almost left, but the line moved really fast, so I’m glad we stuck it out. They had a package deal for tickets, so we got parking, a camel ride, and a carousel ride included. While I love our local zoo, the Minnesota Zoo is awesome. The enclosures for the animals seem like their natural habitat, with so much room to roam. There are also lots of trees, and the zoo is set back, so you can’t hear any traffic or city noises. After looking at the sea lions, the bears, and the tigers, we headed for the Australian Outback. I was afraid it would be really crowded, but it was set up to walk through the area on a path, so there wasn’t a line or anything. There were a few animal experts right at the beginning, and the boys saw a Kangaroo skull and pelt. They pet it, but I’m not sure they really understood what it was. Especially when Little P asked where the head was. Ummmm….we’ll talk about that when you’re older. There were no bars or barrier between us and the Kangaroo, which was super cool. However, the Kangaroos appeared to be pretty tired. Or maybe it was naptime? They just laid around, and occasionally gave us a dirty look. I think one even rolled his eyes at us. 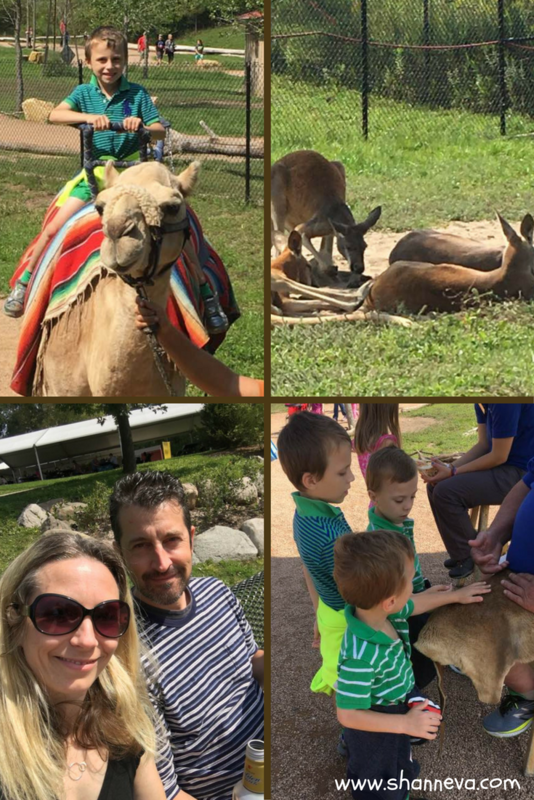 So, no boxing (as my husband promised) or getting in a pouch (as Mr. B wanted to do…gross!) but we still got to see Kangaroos up close. Then, Mr B got a camel ride, the twins got to go on the carousel, and we got some adult beverages. A successful day! I think the Zoo and the swimming tired them out…finally!!! And that’s a wrap! Our time in Minneapolis went by so fast, and we all had a lot of fun. We’ll definitely be road-tripping there again! Make sure to come back later this week to hear all about our adventures at the Mall of America! 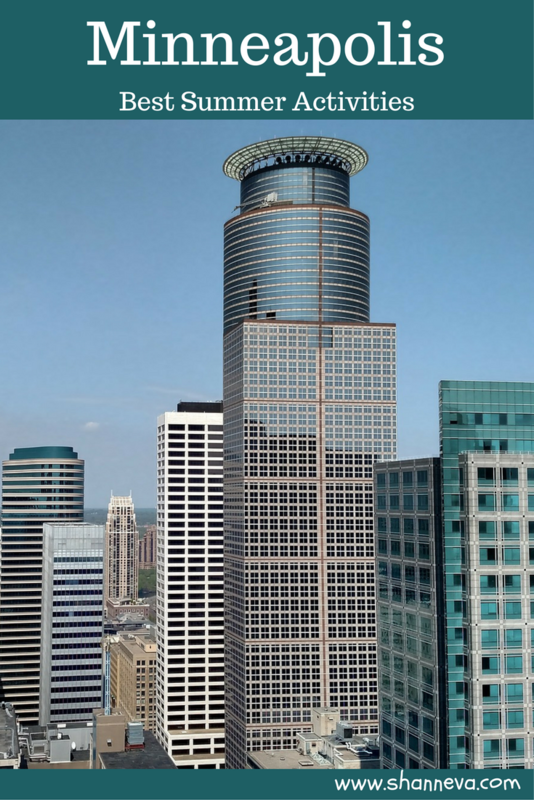 Have you ever been to Minneapolis? Where have you road-tripped this summer? I’m so glad you found some fun things to do here and some good places to eat – we love Hell’s Kitchen and always recommend it to people! Next time you visit you have to go to the Children’s Museum, I am pretty sure your boys would love it! Looks like fun! My kids and I went to the Mall of America last summer for 2 days (really cheap flights from Dallas!). They had a blast! 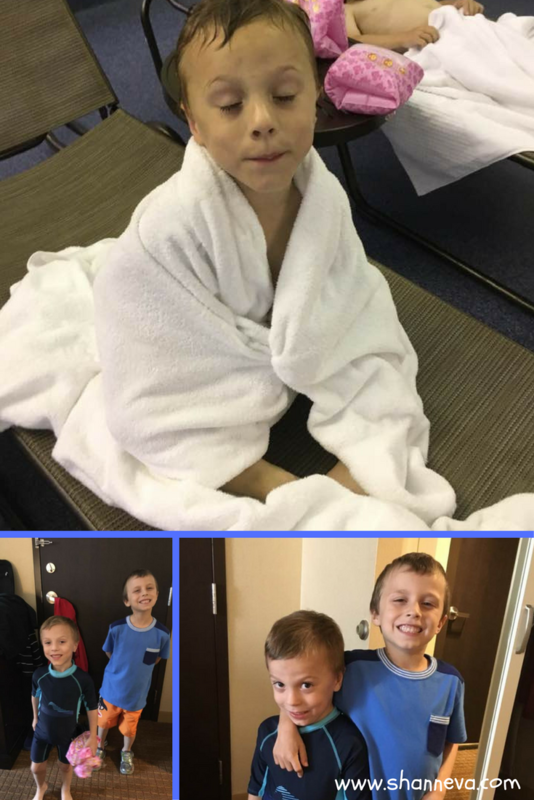 It sounds like a great trip – and how fun you got to spend time with another twin family; I’m sure the boys loved that. I know someone who works part-time at the Zoo. Glad it was fun. I’ve never been to Minnesota, but i’d love to check out the Mall of America sometime. And hotels with pools are GREAT. Road trips are super fun and it looks like you had a wonderful time. Sounds like a fun and jam-packed trip! I’ve never been but good to know if I ever head that way. It really looks like so much fun! I’ve never been to the USA but really hoping to visit this country some day. I have always wanted to spend some time in Minneapolis. I have flown through there a hundred times but havent seen the city. Looks like a beautiful place. Looks like you had a fun trip! I’ve been to Minneapolis twice. Some of my favorite things I did there were staying at the geek-chic The Commons Hotel on the University of Minnesota campus, grabbing drinks with a friend at a local cidery, eating a “Jucy Lucy” burger, and taking a food tour of the Northeast neighborhood. I’d go back just for the neapolitan pizza at Punch! Sounds like a really nice getaway from the norm. I hope you didn’t go too crazy though and you’re not wiped out. Never been but I see there are so many fun things to do! Thanks for sharing these, and the photo!